How nature can help us get to bed. Preparing for our latest guiding adventure into the Grand Canyon, we were going over the itinerary with our group. “If we can’t have a fire, what are we going to do at night?” One of the participants remarked. “You will sleep and wake up early,” I replied. When people tell me they have trouble sleeping at night, I tell them to take a backpacking trip, and they will sleep better than they have in a long time. Sleeping outdoors, in nature, can reset your body’s biological clock and not to mention, when backpacking you will be more tired than you have ever been in your whole life! This occurs in part because most likely on backpacking excursions you need to wake up early — at or near the rise of the sun, either to get started hiking on the trail to get to the next backcountry campsite area before sunset, or to beat the afternoon heat. By the time the sun is setting we are preparing dinner, washing dishes, sharing stories, and then hitting the sack to do it all over again the next day. According to Business Insider, the most effective way to adjust our body’s natural biological clock is to get exposure to natural light. Unnatural light can create an unbalance in the human system, for example spending time on your computer or phone right before bed can instinctively cause us to lie in bed for hours before actually falling asleep because our minds are in the alert mode instead of the sleep mode. When I think about sleep and the times in my life when I have felt the most rested, relaxed, and fulfilled it has been when I was in nature. Not only in nature but unplugged from technology, and plugged back into myself. This last adventure into the Grand Canyon was one that enriched my mind, body, and spirit. 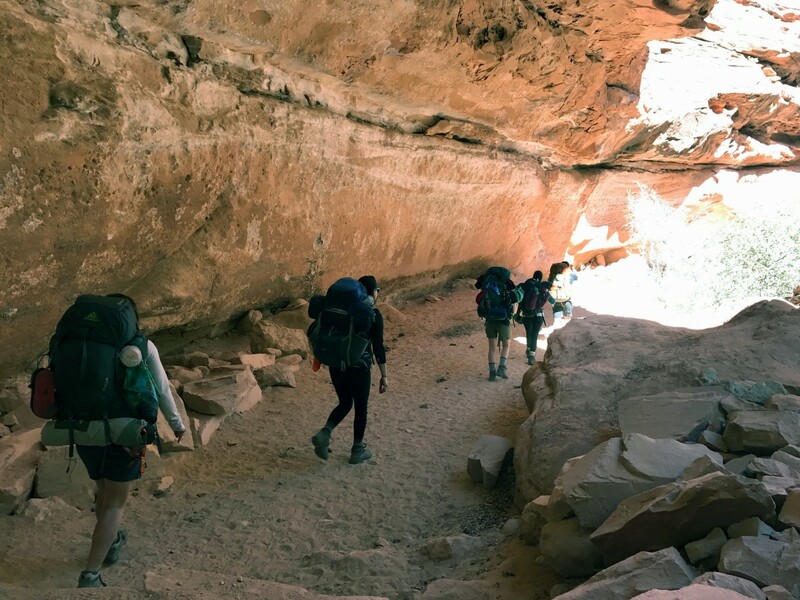 Hiking the red rocks of the Grand Canyon, exploring the legendary Havasupai Native American lands, and swimming in the mineral rich waters reset my biological clock and circadian rhythm back in line with the Earth. What better way to reset than to fall asleep after the sun sinks below the horizon, gazing up at the stars in the endless sky, and peacefully sleeping on the Earth. My body almost instantly syncs with the natural sun and moon cycles of Mother Nature. Take some time to reset your body’s natural biological clock, step into nature, disconnect from technology, fall asleep under the stars, and wake up feeling more refreshed than ever, in the great outdoors.